If your home features bay or bow windows, don't worry! 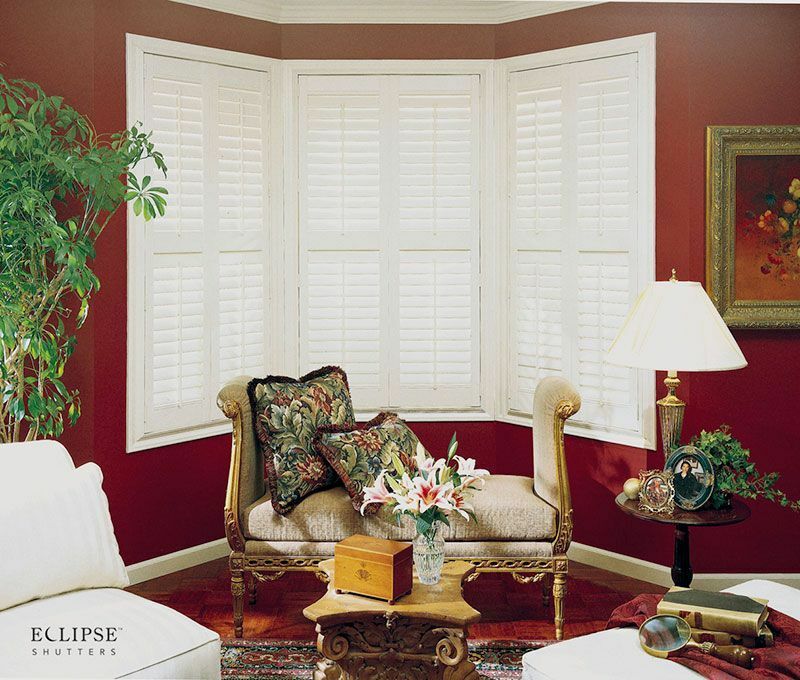 Eclipse Shutters can easily craft beautiful shutters to fit bay windows or bow windows perfectly. 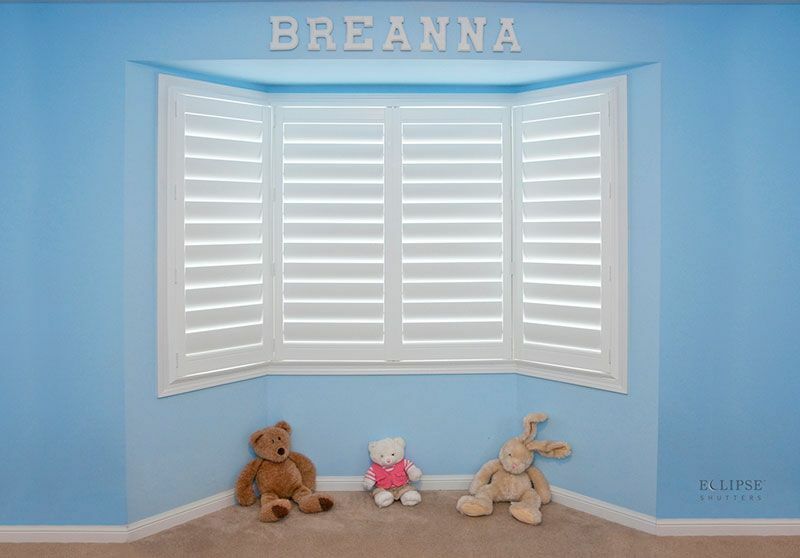 Eclipse Shutters gives you the option of using unframed shutters or selecting from our collection of frames that will be mitred to fit the exact angles of your bay or bow. Eclipse will be able to provide a custom window treatment that is perfect for homeowners with bay windows, or bow windows. 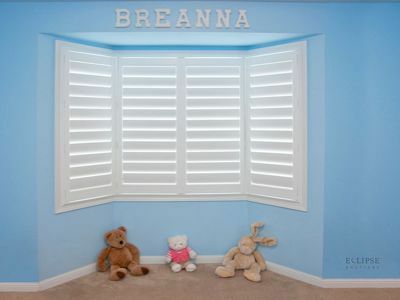 The Traditional Tilt-Bar System provides a tight and uniform closure of all louvers at once and is located on the front center of each panel of California and Plantation shutters. If you'd prefer your shutters without the central tilt-bar, the bay and bow window shutters are also available in the hidden rear-tilt Clearview® system. The louver width you'll select depends on how open you'd like the view out of your bay or bow windows to be. 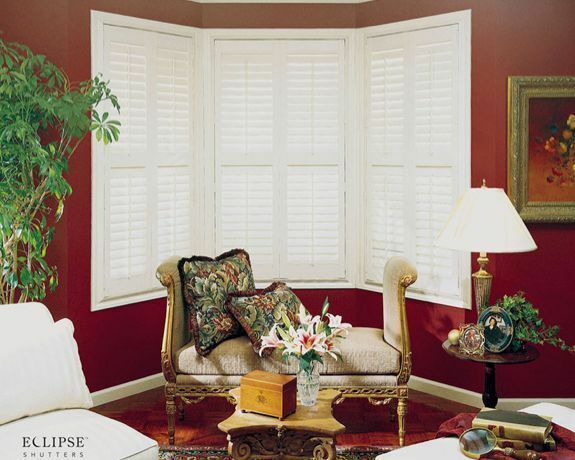 Eclipse Shutters offers shutters for bay and bow windows in 2 ½”, 3 ½” or 4 ½” louver sizes. Did you know? Specially shaped areas, such as bay or bow windows, offer you an excellent opportunity to give your home that custom look that so many homeowners desire.